Operation Tabarin was a secret British Antarctic expedition. It was launched in 1943 under the pretence of patrolling the Antarctic from German commerce raiders and U-boats that threatened Allied shipping during the course of World War II. The expedition resulted in the establishment of a number of bases, thus strengthening British territorial claims to the area. The expedition led to the collection of large amounts of rock, fossil and botanical specimens as well as meteorological, topographical data and glaciological measurements. 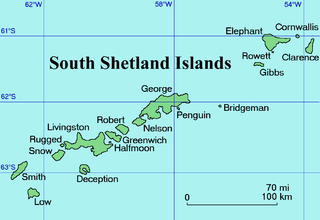 Following its end in 1946, its mission was continued by the Falkland Islands Dependencies Survey. Following the outbreak of World War II, Allied shipping across the globe became vulnerable to attacks by German Navy commerce raiders and U-boats. The British Falkland Islands and the waters of the Antarctic were no exception. On 13 January 1941, Pinguin began terrorizing the unarmed and unescorted Norwegian whaling fleet which had relocated to sub Antarctic waters after having depleted the whale population of the Northern Hemisphere through overexploitation. Pinguin managed to seize a haul of 20,320 ton of whale oil from whalers Solglimt, Pelagos and Ole Wegger, making it one of the largest prizes seized by a commerce raider during the war. Once whaler Thorshammer alerted the British authorities on the Falklands, the armed merchant cruiser Queen of Bermuda began patrolling the area between South Georgia, the South Shetland Islands and Weddell Sea. On 5 March, it visited Deception Island where its crew set fire to a coal dumps and sabotaged oil tanks, supply and discharge pumps belonging to an abandoned Norwegian whaling station, to prevent their use as a supply base by the Germans. In the meantime, the entry of Japan as another Axis power into the war through its surprise Attack on Pearl Harbor, created a new threat to British oversea possessions. The Falklands were protected by an insufficient force of 330 local volunteers with next to no weapons, making an amphibious Japanese invasion likely. Such an invasion would have made navigation around Cape Horn untenable and put Allied convoys heading to India and the Middle East in great danger. The war also threatened to reignite the long standing Falkland Islands sovereignty dispute with neutral Argentina. In January 1942, Argentina's Comisión Nacional del Antártico dispatched ARA Primero de Mayo to Deception Island, afterwards sailing to the Melchior Islands, Palmer Archipelago and Winter Island. Argentine flags were raised in the aforementioned locations and all territories south of 60° S and between 25° W and 68.34° W were declared annexed. On 28 January 1943, the Colonial Office proposed dispatching armed merchant cruiser HMS Carnarvon Castle to Deception Island after falsely claiming that a German commerce raider had been spotted in the area. Although by that time the threat of German commerce raiders had largely subsided, the deliberate ruse was enacted in order to conceal Britain's intentions from the U.S. and counter Argentina's ambitions. Upon reaching Deception Island Carnarvon's crew replaced the Argentinian flag with the Union Jack and placed four British Crown Land signs. A month later Primero de Mayo's men returned the favor. At this point it became obvious that only physical presence could settle the matter. Planning for Operation Bransfield began on 27 May 1943. Named after Antarctic explorer Edward Bransfield it was quickly changed to Operation Tabarin (after Paris based cabaret Bal Tabarin) so as not to reveal its objectives. Polar experts Neil Mackintosh, James Wordie and Brian Roberts took up the planning of the endeavor. Experienced Scottish marine biologist and polar explorer Lieutenant James Marr was selected as the head of the expedition. Marr now a Lieutenant Commander flew to Iceland where he procured Norwegian sealer Veslekari which was assigned the name HMS Bransfield. Bransfield proved to be unsuitable for the expedition as its freshwater tanks suffered from leaks; troopship HMS Highland Monarch was therefore selected as the replacement. On 14 December, Highland Monarch departed from Avonmouth, making stops at Gibraltar and Montevideo before reaching Port Stanley. 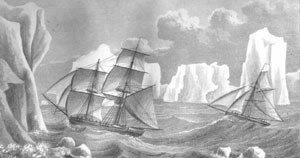 There the expedition's members reembarked into Fitzroy and William Scoresby. At 11 a.m. on 3 February 1944, the expedition landed at Port Foster, Deception Island. Much to the relief of its members the expedition found no signs of Argentine presence in the port apart from a flag painted on a fuel tank. Orders had previously been issued to avoid confrontation with the Argentines and the Chileans at all cost. The decrepit whaling station was transformed into Base B where Flett, Matheson, Smith, Layther and Howkins were to continue their work. On 6 February, the remainder of the expedition set course for Hope Bay where Station A was to be established. At 1 p.m. on 7 February, William Scoresby dropped its anchor 50 yards (46 m) off Hope Bay. The following day Marr was informed that Fitzroy would not be able to proceed to Hope Bay as ice being blown into the area by easterly wind could potentially trap the ship. A plan to reload Fitzroy's cargo into Scoresby was discarded due to the latter's limited capacity. Abandoning Hope Bay on 10 February the two ships pushed south-west along Graham Land and to Port Lockroy once heavy fog lifted. Although it was known as a safe harbor, Port Lockroy's location restricted the range of scientific activities that the team intended to perform due to the fact that Gerlache Strait rarely froze, thus limiting access to the mainland. The ensuing ennui posed the risk of causing the team members to experience cabin fever as was the case on the Belgian Antarctic Expedition. The cargo was unloaded at the site of the newly established Station A on Goudier Island. The first stage of the construction of the main hut christened Bransfield House was completed on 17 February, allowing William Scoresby and Fitzroy to return to the Falklands. On 19 March, Station A was visited by William Scoresby which brought John Blyth a carpenter from the Falklands who join the team. On 23 March, the Port Lockroy post office began its operation with Farrington acting as censor. Falkland Island stamps overprinted with the inscription "Graham Land, Dependency of" were used. A day earlier four expedition members planted a Union Jack and a British Crown Land sign on Cape Renard. On 23 April, the Stanley post office burnt to the ground, with correspondence now passing through Montevideo the expedition's existence came to be known to the outside world. Survey work began in early May with the collection of rock samples from the foot of Jabet Peak and Savoia Peak. Lamb collected lichen samples and conducted experiments on the accumulation of snow and subsequent thawing. Lamb discovered a number of lichen species, including Verrucaria serpuloides, the only known true marine lichen, thus making a considerable contribution to the taxonomy of Antarctic lichens. Later on Lamb visited Station B collecting specimens of amphipoda, ctenophora, sea urchins, worms and sponges from the beaches and shallow waters of Deception Island. On 18 November, a sledging expedition was launched on Wiencke Island where bird and lichen specimens were gathered, the former for the needs of the British Museum. On 6 December, William Scoresby returned to Station B bringing plants native to the Falklands and soil for Lamb to conduct a transplantation experiment, which ultimately failed due to low humidity and strong winds. On 3 February 1945, Fitzroy and the 550 ton sealer Eagle arrived at Port Lockroy, with Victor Russell and David James, Norman Bertram Marshall, Gordon Lockley, Frank White, Alan Reece, Thomas Donnachie and Norman Layther aboard. Stores, equipment and crew members destined for the erection of an unmanned Base E on Stonington Island moved into Eagle, others boarded William Scoresby and Fitzroy in order to build Station D on Hope Bay. On 7 February, Marr resigned on account of poor health, later returning to the Falklands, with Taylor replacing him as expedition leader. Taylor abandoned the plan to build the Stonington Island station focusing his attention on Station D. On 13 February, Seal Point was selected as the most suitable location for Station D and the first steps for its erection were made, construction was completed on 20 March. On 23 February, a hut was built on Coronation Island to reinforce British claims to the area. Later on the British paid the Argentine meteorological station on Laurie Island a cordial visit. A few fossil specimens were collected at Hope Bay in February, with systematic gathering of paleobotanical specimens from Mount Flora's shale beginning on 8 June. A sledging expedition from Hope was launched in August. On 29 December, the sledging party returned to Base D, having visited Vortex Island, Duse Bay, James Ross Island and numerous small islands in its vicinity. The trip resulted in 250 kilograms (550 lb) of lichen, fossil and rock samples, meteorological and glaciological measurements as well as corrections to Otto Nordenskjöld's maps. On 14 January 1946, William Scoresby, Fitzroy and 300-ton sealer Trepassey began evacuating the members of the expedition to the Falklands. On 11 February, those serving in the military boarded HMS Ajax (22) while the rest sailed home on Highland Monarch. 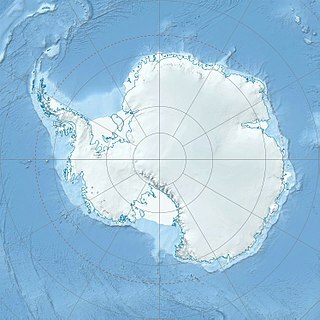 The end of World War II led to renewed interest in the Antarctic region. The United States refused to recognise any foreign territorial claims to Antarctica initiating Operation Highjump. Argentina and Chile signed the Argentine-Chilean Agreement on Joint Defence of "Antarctic Rights", a defence agreement that envisioned potential military action over disputed Antarctic lands. Chile organized its First Chilean Antarctic Expedition in 1947–1948. Among other accomplishments, it brought the Chilean president Gabriel González Videla to personally inaugurate one of its bases, thereby becoming the first head of state to set foot on the continent. Britain on the other hand continued the operation of the bases built during Operation Tabarin, by transferring them to the newly established Falkland Islands Dependencies Survey. Operation Tabarin veterans Reece,White and Rusell remained at their bases, continuing their work for the FIDS. Participants of Operation Tabarin were awarded the Polar Medal in 1953. ^ Haddelsey 2014, pp. 15–19. ^ Haddelsey 2014, pp. 19–28. ^ Haddelsey 2014, pp. 28–35. ^ Haddelsey 2014, pp. 34–38, 55–57, 72. ^ Miller, C. G. "Eric Hatfield Back". Munk's Roll. Royal College of Physicians. IX: 19. Retrieved 1 January 2017. ^ Davies, Gwion; Rowley, Graham W.; Wynn-Williams, David & Stephenson, Alfred (April 1994). "Obituaries: Andrew Taylor". Polar Record. 30 (173): 153–157. doi:10.1017/s0032247400021537. Retrieved 1 January 2017. ^ "Obituaries: Captain Victor Marchesi". The Daily Telegraph. 13 February 2007. Retrieved 1 January 2017. ^ "Obituaries: Gwion Davies". The Daily Telegraph. 2 July 2005. Retrieved 1 January 2017. ^ Haddelsey 2014, pp. 38–43. ^ Haddelsey 2014, pp. 52–59. ^ Haddelsey 2014, pp. 60–72. ^ Haddelsey 2014, pp. 80–90, 106. ^ Haddelsey 2014, pp. 117–120. ^ Haddelsey 2014, pp. 117, 125–127. ^ Haddelsey 2014, pp. 136–144, 156. ^ Haddelsey 2014, pp. 148–149. ^ Haddelsey 2014, pp. 166–167. ^ Haddelsey 2014, pp. 192–205. ^ Haddelsey 2014, pp. 208–215. ^ McGonigal, David; Woodworth, Lynn. Antarctica and the Arctic: The Complete Encyclopedia. 1. p. 98. ^ Haddelsey 2014, pp. 216–223, 230. Haddelsey, S. (2014). Operation Tabarin: Britain's Secret Wartime Expedition to Antarctica, 1944–46. Stroud: History Press. ISBN 9780752493565. Winter Island is an island 900 m (980 yd) long, lying 200 m (220 yd) north of Skua Island in the Argentine Islands, Wilhelm Archipelago, off the west coast of Graham Land, Antarctica.